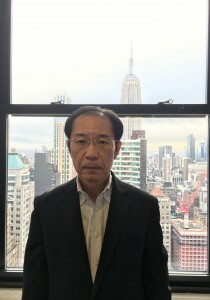 Sanyo Corporation of America (SCOA) and Sun Phoenix Mexico S.A. de C.V..
His predecessor Kenichi Shindo returned to Japan to work in his new position as Executive Officer of Sanyo Trading Co., Ltd.. In Tokyo, Japan, Naoki Tanahashi had been Executive Officer, Chemical Business Unit at Sanyo Trading Co., Ltd.. He has been working with the company since 1981.